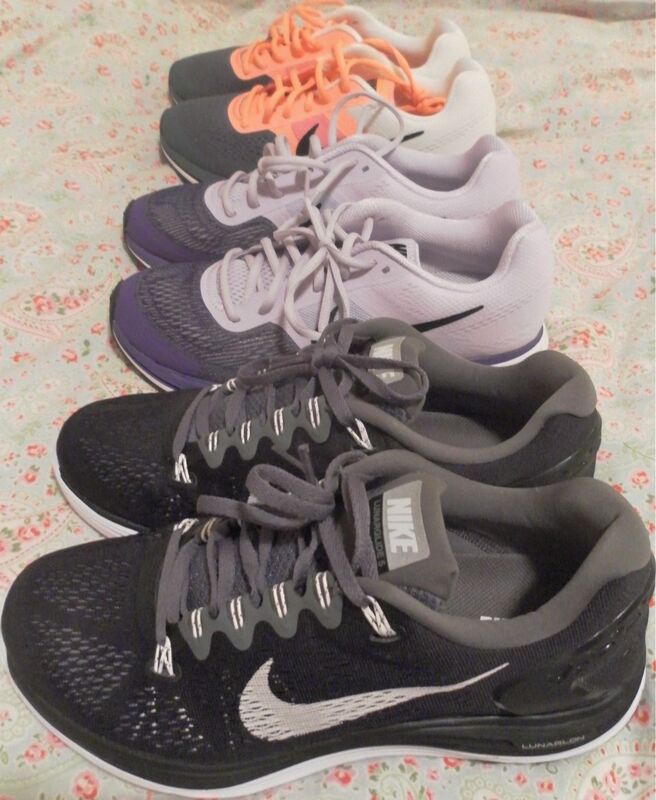 I have always loved reading haul blog posts…especially Christmas and Birthday present hauls! So I thought it would be fun to share all of the wonderful fashion, home decor, and beauty related gifts that I was blessed with from my loved ones this past Christmas. So let’s get started!! 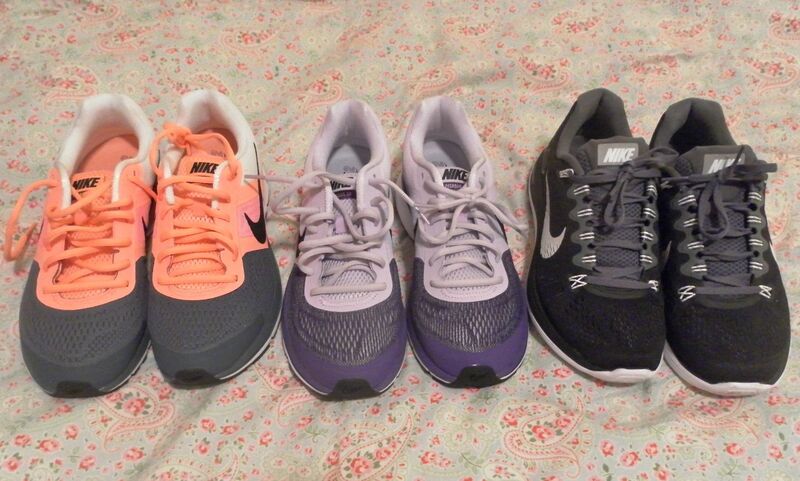 My brother was super generous this year and gifted me with 3 awesome pairs of Nike trainers! He did such a great job in picking out cute styles with fun colors! And I just bought a Nike+ chip over the holidays, so I am excited to try that out. I received this beautiful scarf from one of my sweet friends. I have been wearing it almost every single day since I got it, it is so soft and warm! 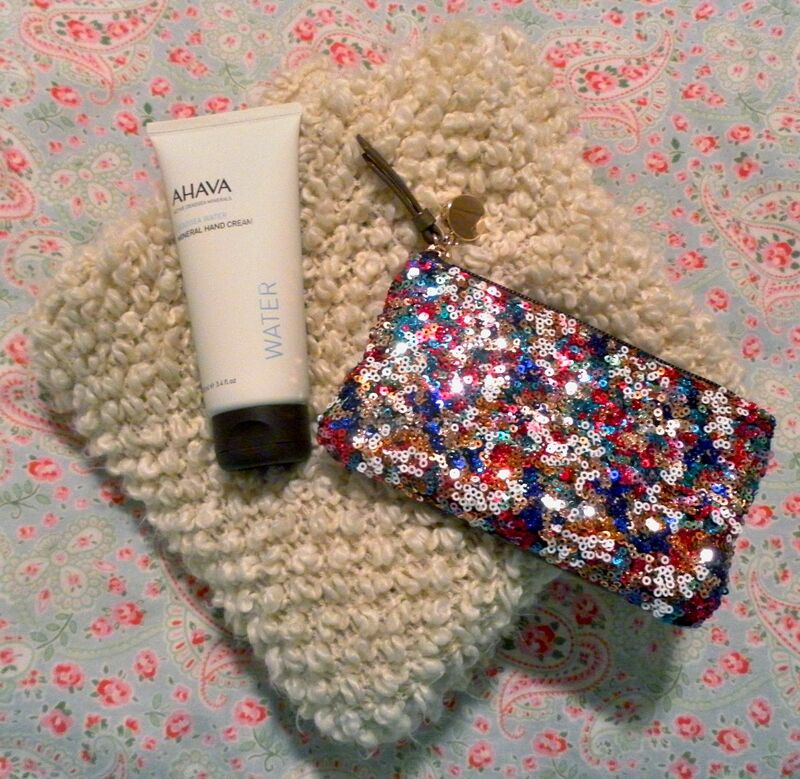 And I have been loving this AHAVA hand cream (which smells sooo good) and cute sequin pouch from Ann Taylor that I received from my Aunt. 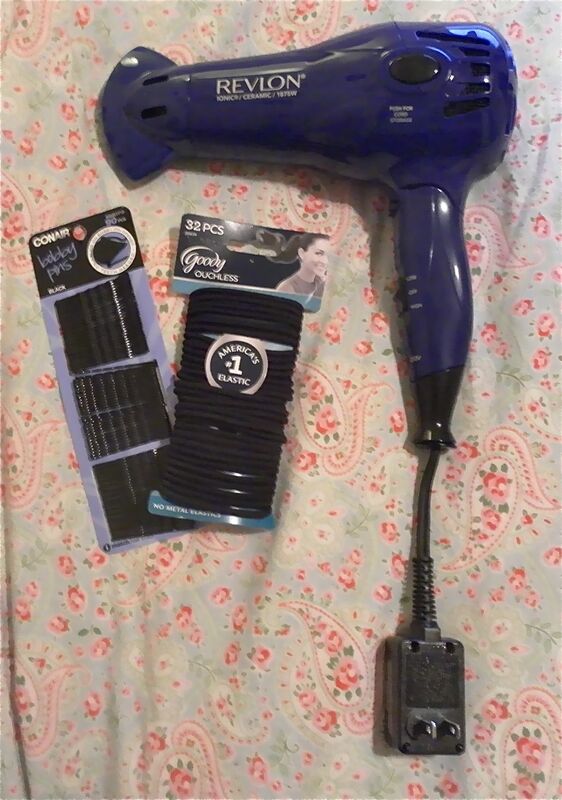 I also received a bunch of fun new beauty related items!!! 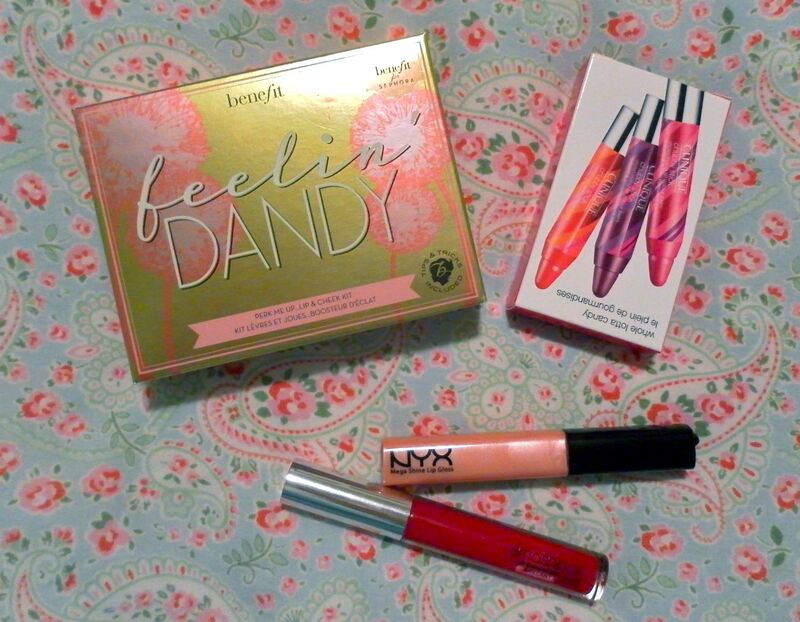 I am lip product junky…so I have been loving both the NYX Mega Shine Lip Gloss in color Pink Frosting & the Smashbox Lip Gloss in color Ruby (pictured towards the bottoms of the above picture) from some of my girlfriends. So funny story…my Mother handed both my sister and I square wrapped packages and told us that we could swap them or keep what we were about to unwrap…well as luck would have it my sister got a palette that totally suits her coloring and I ended up opening this Benefit “Feelin’ Dandy” palette that suits my lighter skin tone. 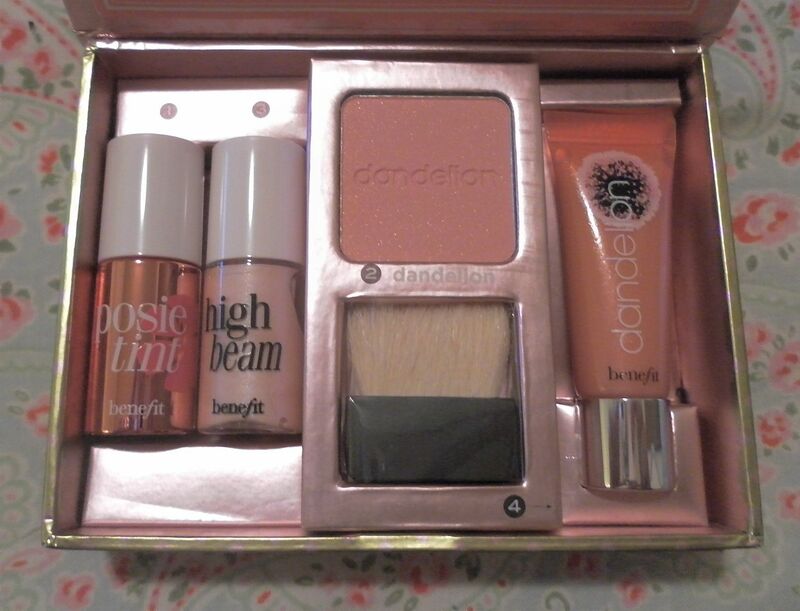 I really haven’t had a chance to use this palette much since I got it, but I have owned Benefit’s High Beam in the past and loved using it as a highlighter…and I have always wanted to try the Posie Tint! 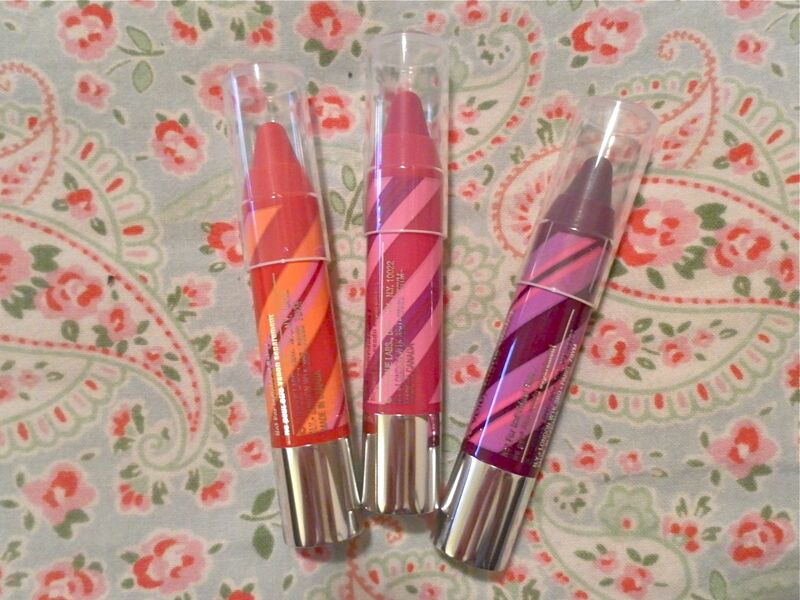 My Aunt was also super sweet and gave me this adorable 3 pack of Clinique Chubby Sticks in colors Two Ton Tomato, Pudgy Peony, and Voluptuous Violet. I love how they look like giant crayons!